If I could, I would live in a variation of this outfit. 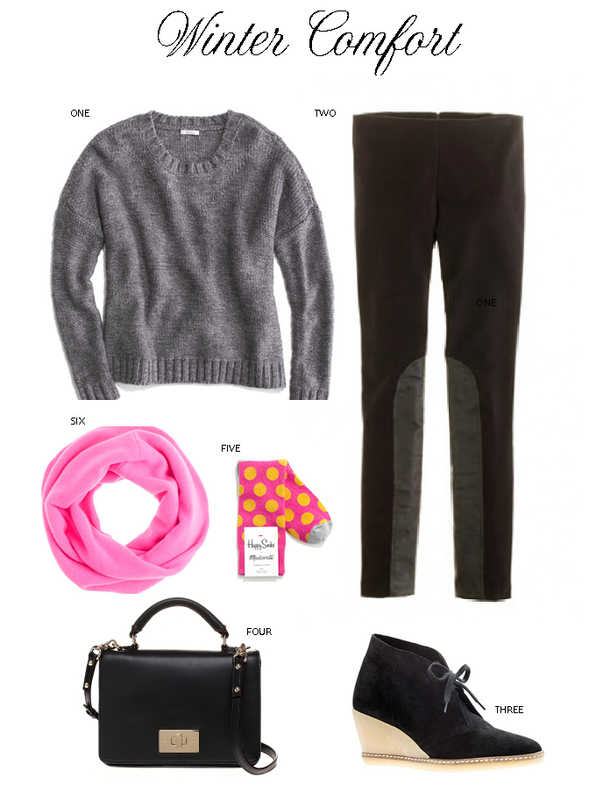 Cozy sweater, cashmere scarf, and stretchy pants. That is my idea of heaven. The great thing about all these pieces are that they go together seamlessly with almost anything. I own the heeled MacAlister booties (which are sadly no longer available online), and the pixie pant. Both pieces are great. They go with almost anything and are extremely comfortable. Isn't that what we want in the winter? Something comforting and easy to wearhggggg22222222,.32222. Plus, the pop of color from the scarf and socks never hurts. Add a few comfy cozy pieces to your wardrobe this winter, you will not regret it.